RNS Journal … | Jessie Henshaw’s blog – What’s here…. Jessie Henshaw’s blog – What’s here…. You can also look at the designs of plants that way, or think of ecologies or cultures working that way, composed of families and populations in their environments. They’re all “organizations of specializations” that are “unified by a design” for working as a whole. If you see things working as a whole, it amounts to recognizing the boundary enclosing it, and to notice distinct differences between what goes on inside and outside, and to ask how the system developed. One usually finds it developed from some starting pattern, it’s ‘seed’ or ‘germ’ or ‘model’ by one or another process of growth. All those traits and many more seem to generally go along with “systems”, as the complex units of design that populate our world. What’s different about this view from the usual scientific approach is that it’s a study of individual designs, as things working in our environment. The scientific method begins with data and ends with finding equations for predicting the average behaviors of things. Here the focus tends to begin and end with finding good questions to ask about how things are designed and work individually. It’s often useful as well to be able to go back and forth between those two scientific views, and from the views of other disciplines too, all addressing the natural subjects in common. 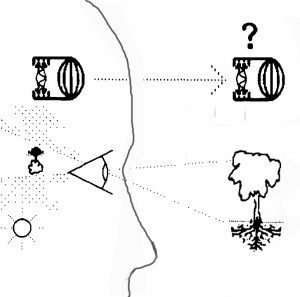 In 2014-15 I’ve pursued what seems like a wonderful new opening to join my pattern recognition for natural system designs with the “pattern language” for holistic design of Christopher Alexander. It gives me a wonderful way of recording and communicating to create a whole language of “how to work with nature” by recognizing nature’s working parts, closely coordinated with the language of Christopher Alexander and how it is being adopted by a number of professions as a common language of holistic design. Alexander’s ‘pattern language’ originated as his way of documenting the ancient principles of holistic architectural design, using a practice of being explicit about the “context”, the “forces” needing response and “simplifying ideals” of the designs to unify them, along with lists of the expert knowledge needed to communicate and accomplish it, a holistic language of design. The profession that has applied it most widely is the software programmers, using it as a formal way to define whole working parts of programs as having holistic designs and purposes, and often called “object oriented programming”. Describing natural systems as whole units of organization I sometimes call “object oriented science”as study of how natural systems work as wholes. There’s no real change in my former scientific methods for recognizing natural patterns of design in how energy systems behave as wholes. How I use my “Patterns of Naturally Occurring Design” is mainly as rich new way to use natural language to discuss the holistic designs of nature natural language refers to our social values about, but we also need to understand and work with as part of our natural world. They’re a bit advanced in that sense, but I also think I’ve laid out natural way to expand on our common knowledge to work with Alexander’s approach to holistic design, not just for new ways to work on nature but also the new ways that will eventually transform our ways of working with nature. At this point the introduction is to browse my two papers, one for PURPLSOC and the other for PLop 2015, on “Elements” and “Mining Living Quality“. 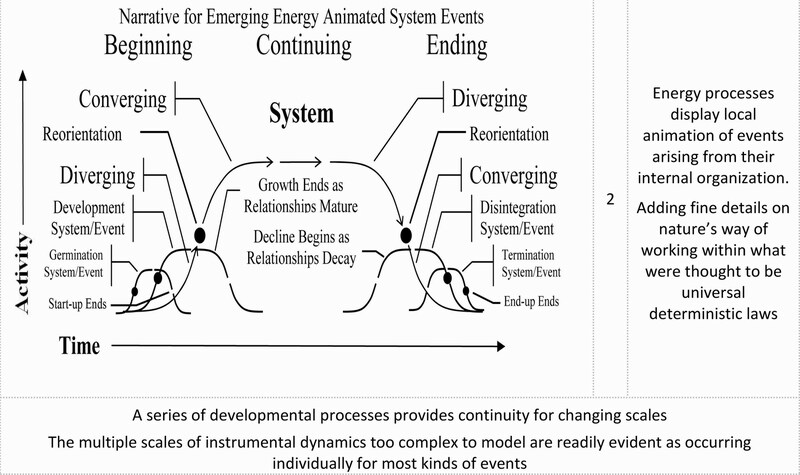 I was really exciting but also totally frustrating to find and describe the various great conseptual misunderstandings of how natural systems work, and describing some as technical problems with possible solutions. See my RNS journal entries for that period for the details. The discussion focuses on the “natural systems paradigm” of science. It expands on the scientific method to correct a major omission. The scientific method was never designed to study the self-organizing systems of nature in their natural form. Natural systems could only be studied as abstract models invented by scientists, based on equations built around recorded observations. The lack of observations for how natural systems work internally is the problem. As for another person’s life or mind, you simply can’t tell how things that work by themselves are organized and operated from their own insides. Nature abounds with such systems, but the lack of data on how they work has forced science to simply ignore them as a subject of study. My approach rests on using observation to first locate natural systems by how they work as a whole, and then investigate their stages of evolution from beginning to end. It’s both serious physics and richly informed “story telling” using natural language and the universal themes of beginnings and ends of change. It uses the principle of energy conservation as the common natural limit for all energy using processes, as a way to explore natural systems and events. The “epidemiological” device used is that of a “dual reality”, treating words like “apple” to refer to both the thing and the idea of apple. That allows discussion to refer to *both* subjects defined by nature and those of abstract definition in our minds (the world of nature and the world of intellect) as “hand and glove”, to consider how one’s mental and physical worlds fit. So it’s not about “data and equations” so much, as about observed “whole units of organization” found in nature (individual systems). Studying how self-organized systems behave as a whole is the only way to tell how the behaviors of their parts are adding up, as abstract theories simply have no source of data for their interior workings. …so old posts are often not out of date for learning more about what is going on behind the scenes when observing environmental events, (though may be need an edit). Nature’s working parts are not “facts” but self-defining physical systems, objects of nature that exist independent of our facts. They work by themselves, where they are, in ways that are far too complex and to holistic for us to define with abstract rules. You don’t need to know quite how systems work, where how they work as a whole is simple enough to understand by itself. Natural systems one can clearly identify as individual “things” are generally found to have developed by an energy using growth process, from some “seed” or other “germ of organization”. Each then develops by growing in its own environment, usually in a unique local way. Biological organisms are energy using systems that mostly develop by growth from a seed. Thinking of all natural systems from how they work as a whole, as if like “organisms” that work by themselves, living out a natural life, is one convenient way. The familiar paradigm of modern science, so far, does not recognize the existence of self-managing systems in nature. It’s only subject of science is “our systems” of mathematical relations, ones we invent to explain the data we collect. So my work also had to become an exploration of the role of science in shaping our thinking, as the earth and other physical systems of everyone’s great direct concern, turn out not to be directly studied by science. So what I actually study are how individual organisms, storms or cultures, etc., develop by their own process of accumulation, using energy, to produce autonomously organized individual systems in nature. Their “cellular design” (having different sets of internal and external relationships) comes from how they develop. It’s observed as a burst of self-organization as a new pattern of energy use expands in its environment. It’s been a struggle to get “deterministic thinkers” to consider “opportunistic processes”, though. So the chance to organize and present my rather well founded theoretical/empirical approach has been put off for decades, actually. I keep trying to use “English” but also am clearly not yet finding a language for conveying it. It’s not that “physics is wrong” but rather that it takes a different approach, looking at the parts of nature that can be successfully described as following universal rules. I study the parts of nature that can be successfully described as following locally developing rules. The two sets of explanatory principle can and do work together, and expand our awareness of what’s happening within and around us. Most of the posts from my old blog have been moved here, with a quick edit or two for some in the process. There’s lots of good stuff going all the way back to 2006. My research archive is Synapse9.com, the work of P.F. Henshaw (my pen name).